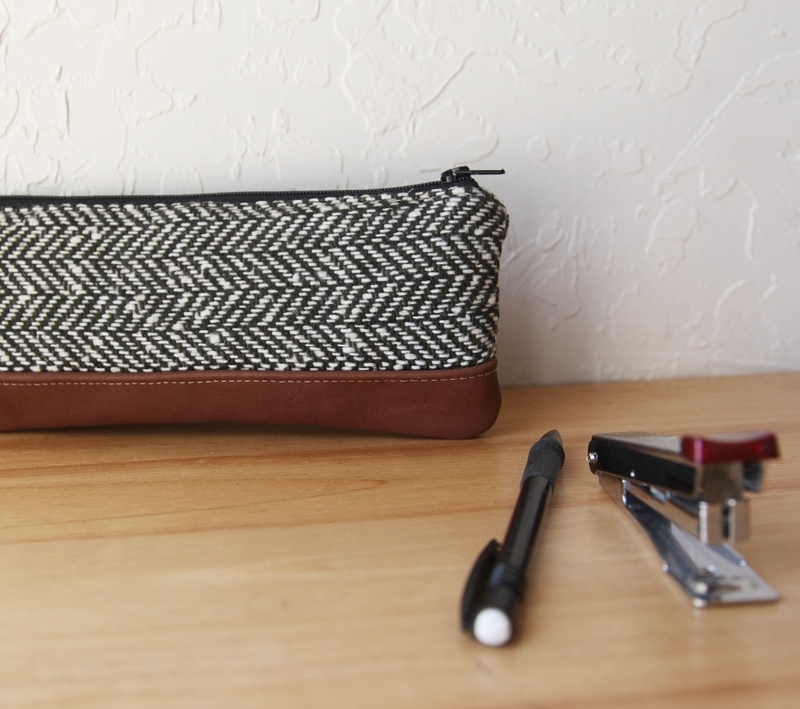 Just added a small assortment of fabric and leather pencil pouches to the shop. Coffee is percolating, mmmMM, and I have some orders to finish packing before my mail pickup comes, so I am going to keep this short and sweet. Happy day to you, sweet people! Congratulations to rebecca and manzanitasverdes! 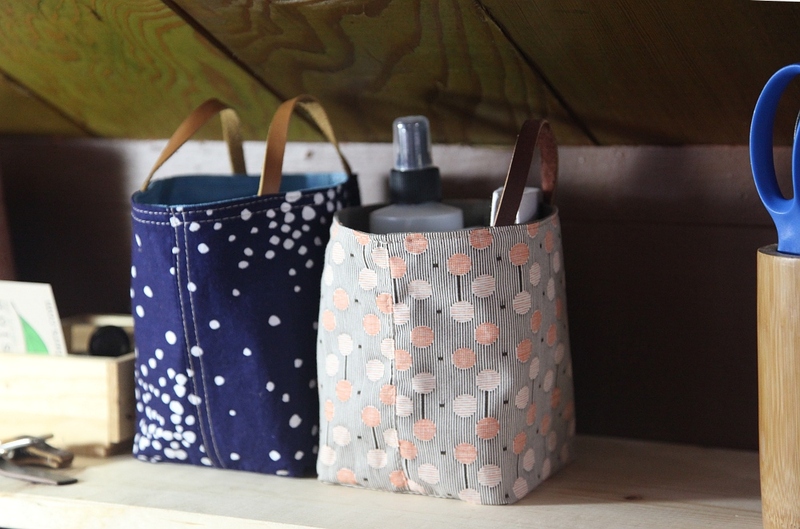 I will be in touch with you both soon, to find out where to send your little totes. Hope you all had a great weekend. I have been feeling a little overwhelmed the past few days, so this afternoon I am going to shift gears and spend some time organizing my crazy-disaster-that-I-can-hardly-walk-through studio. Bizarrely, I am actually really looking forward to this. We’ll see how far I get. 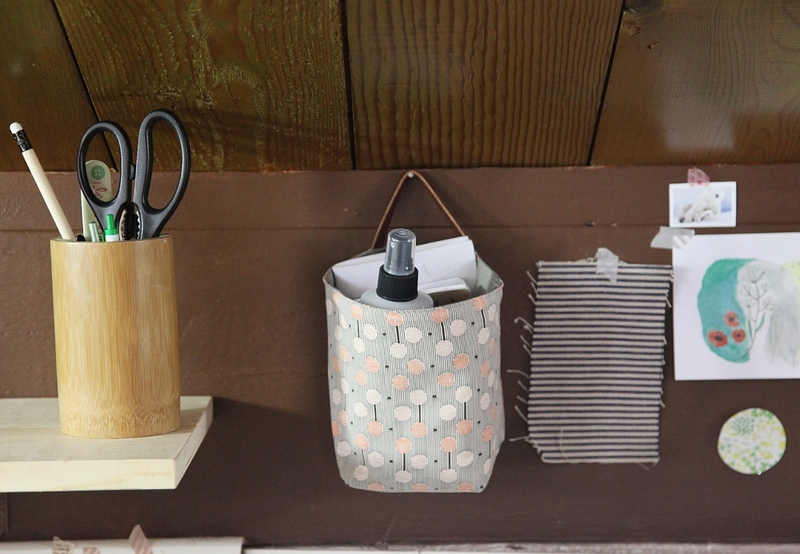 As I mentioned in yesterday’s post, I made a few of these little organizer totes last week. It was tempting to sew them all day. 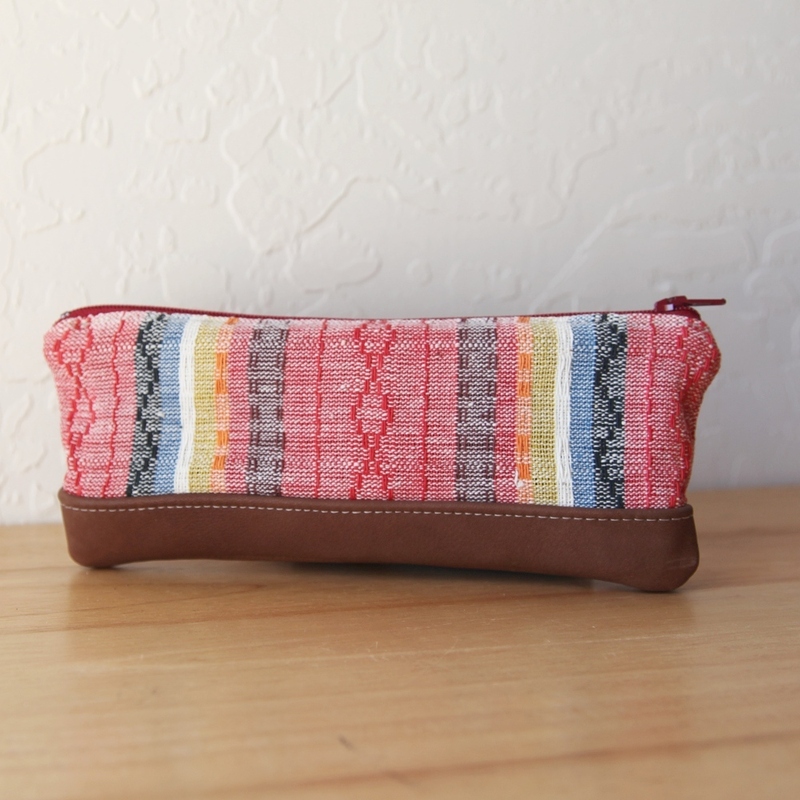 I really enjoy small projects and it’s so rare I do them these days. Picking the materials, deciding the size and seeing it complete in less than an hour – it comes pretty close to instant gratification. 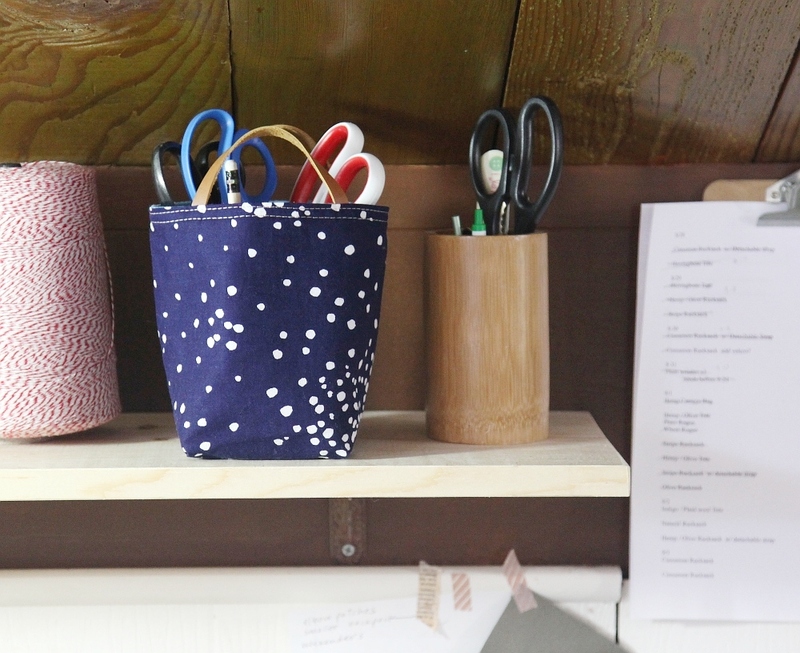 These little totes fit in all kinds of spaces, effortlessly corralling odds and ends, and they sure look sweet on a shelf or hanging on a hook on the wall. 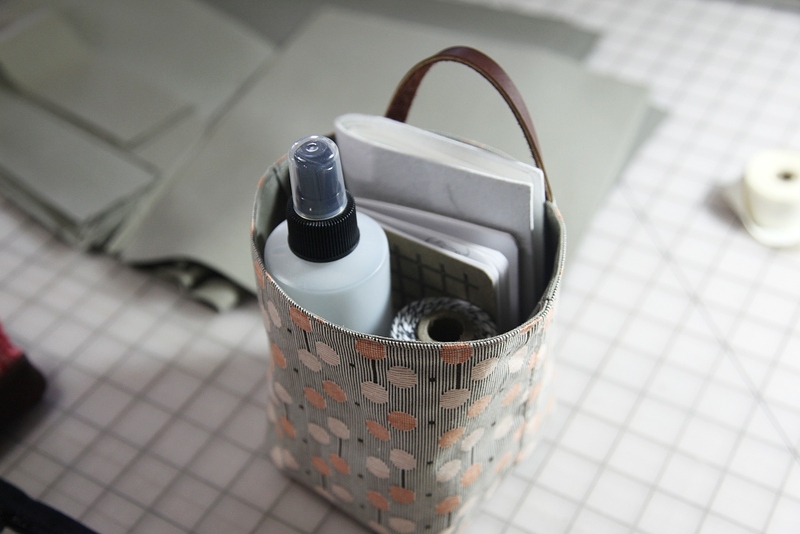 I would like to send 2 readers one of these small totes. Simply leave a comment below by Sunday 9-25 at midnight, and I will choose 2 people at random early next week. 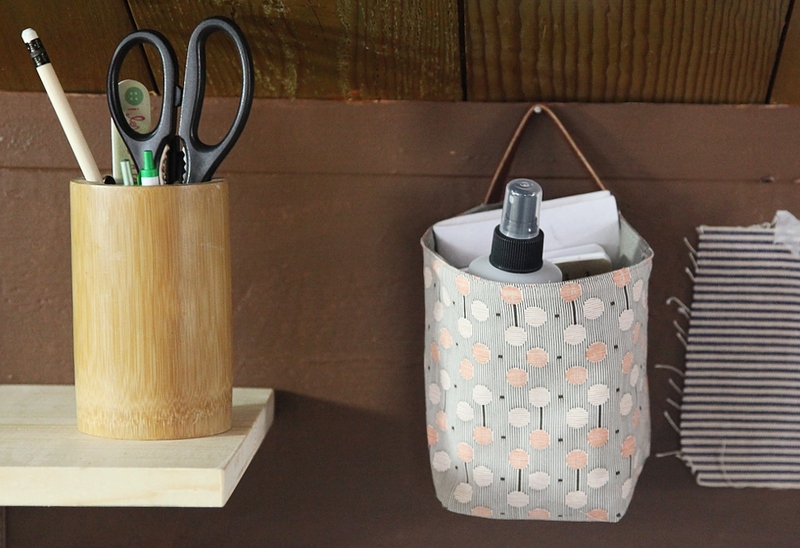 And if you like to sew, you can find an easy-to-follow pattern for making similar “fabric buckets” here. Happy autumnal equinox, my friends. Enjoy this last day of summer! Wild berries are one of my favorite things about late summer. I’ve been making some super delicious blackberry smoothies lately – wow, such amazing color. Now that I have a nice bit of them stored in the freezer I am wondering about other ways to use them. What are your favorite simple blackberry recipes? 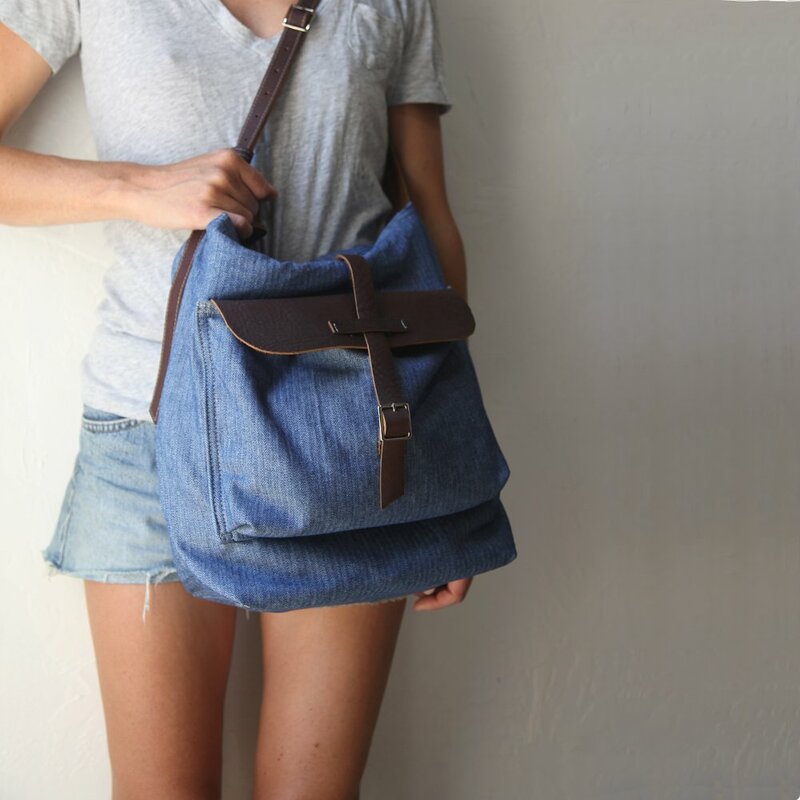 A new bag soon to be in the shop. 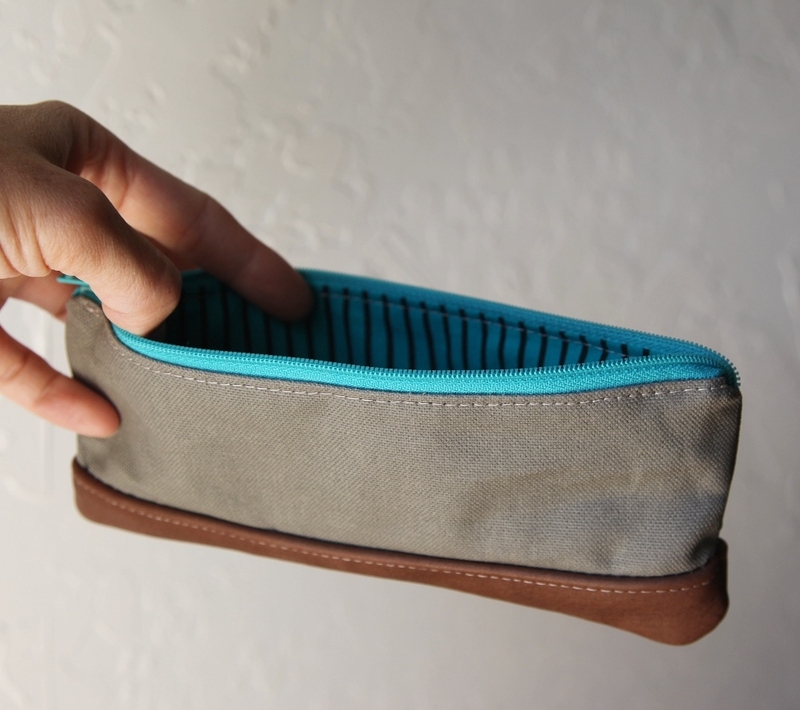 I challenged myself with this one, to create a bag with enough pockets to really stash a lot of stuff. I have been assembling most of my bag interiors with a similar layout for quite some time, so it felt great to explore some changes. 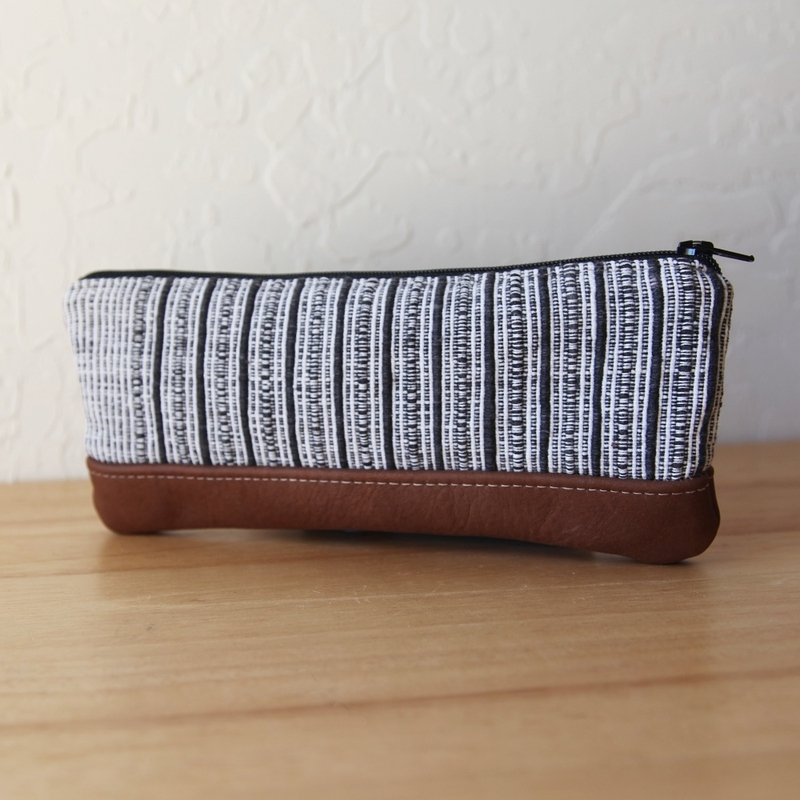 Organic cotton, handwoven mexican wool, genuine leather. 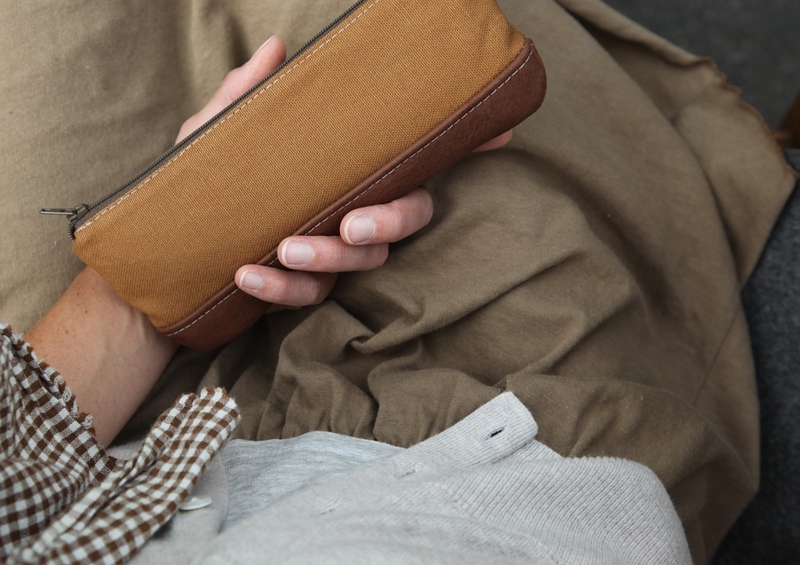 Cotton canvas, genuine leather and handwoven cotton. Phew, I hear this from everyone these days, but it has been such a busy time. I feel as though time has sped up and I can hardly keep up with it. Our days are full of lots of hard work mixed with a bit of play. 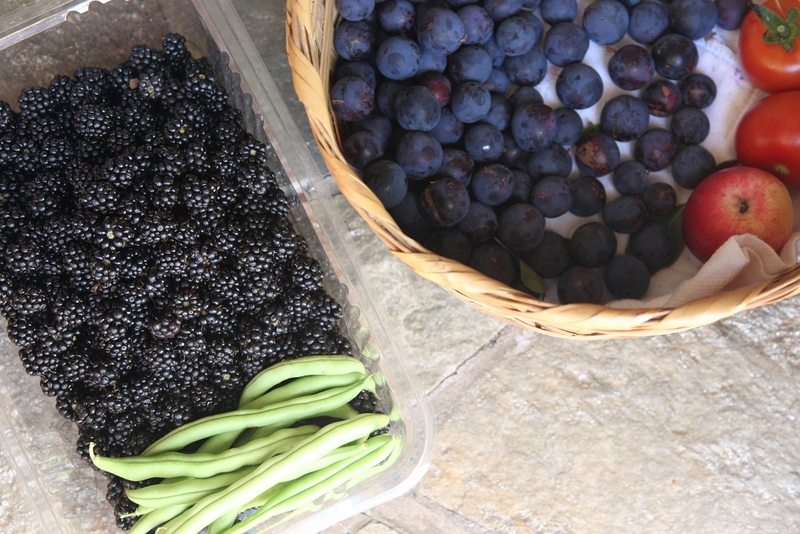 And it is starting to feel like endless summer here, still with lots of sunshine, garden harvests, a stolen hour here and there for dips in the lake. I have a feeling as the weather cools, I will be more present online, but for now any spare moment is poured into this golden time outdoors! I hope you are all enjoying the change of these beautiful seasons. More new things to come soon!